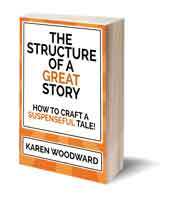 Karen Woodward: Using adverbs in dialogue tags: a matter of style or a sign of timidity? Using adverbs in dialogue tags: a matter of style or a sign of timidity? “You are dead to me,” he said coldly. “You are dead to me,” he whispered coldly. “I’m convinced that fear is at the root of most bad writing. If one is writing for one’s own pleasure, that fear may be mild—timidity is the word I’ve used here. If, however, one is working under deadline—a school paper, a newspaper article, the SAT writing sample—that fear may be intense. Dumbo got airborne with the help of a magic feather; you may feel the urge to grasp a passive verb or one of those nasty adverbs for the same reason. Just remember before you do that Dumbo didn’t need the feather; the magic was in him. 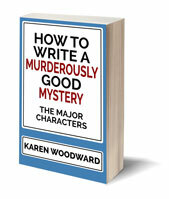 Most authors love to use adverbs in dialogue attributions. That said, King has used fewer adverbs over the years, both in dialogue attribution and elsewhere. I say all this not to defend King, since he needs no defense, but to give you a feeling for the lay of the land. What I really want to talk about is not that we shouldn’t use adverbs in dialogue tags but, instead, whether this dislike of dialogue tags is perhaps one of those things that change with the times. Adverbs in dialogue attributions, past and present. Madeleine L’Engle’s “A Wrinkle in Time” was my favorite book growing up. There was something about it, some quality. If you pressed me to put that quality into words I’d say it was magical and then feel disappointed in myself for under describing it. “A Wrinkle in Time” was one of the books that shaped how I think and what I like. “A Wrinkle in Time” contained many tags (about 60) with adverbs in them. To put that in perspective, J.K. Rowling used fewer such tags in “Harry Potter and the Sorcerer’s Stone,” (about 40) and her book was over 20,000 words longer than L’Engle’s. The finding that surprised me the most was from “The Goldfinch.” In that novel about 200 of the dialogue attributions contain an -ly adverb. That’s more than are in E.L. James’ “Fifty Shades of Grey” and James Patterson’s “Along Came a Spider,” combined. Actually, Patterson’s book only contains four such instances. Even “The Maltese Falcon,” one of my favorite books, contains around 50 such tags. Could it be that our attitudes, or perhaps our tolerance for, adverbs in dialogue tags has changed over the years? For example, the dialogue tags in “Never Go Back,” published in September 2013, are adverb free. That’s right, the book contains no tags with adverbs. But, against that idea, “Lord of the Flies” was written in the 50s and only has six or so adverbs in its tags. And Jim Butcher’s latest book in the Dresden Files series, published just this year, contains well over 100 dialogue tags with adverbs in them. Perhaps one could argue that, at least in part, whether to use adverbs in one’s dialogue tags is part of one’s writing style. Yes, Stephen King attributes use of adverbs to timidity—and he may well be right—but perhaps adverb use could also simply be a component of an author’s voice. The most interesting thing that came from my investigations into using adverbs in dialogue tags is that the practice seems to cut across the literary/genre boundary. That surprised me. Of course, this could simply be an artifact of the small sample sizes I’m working with! What do you think? Is the use of adverbs in dialogue tags a weakness—a sign of timidity—or is it simply a matter of style? 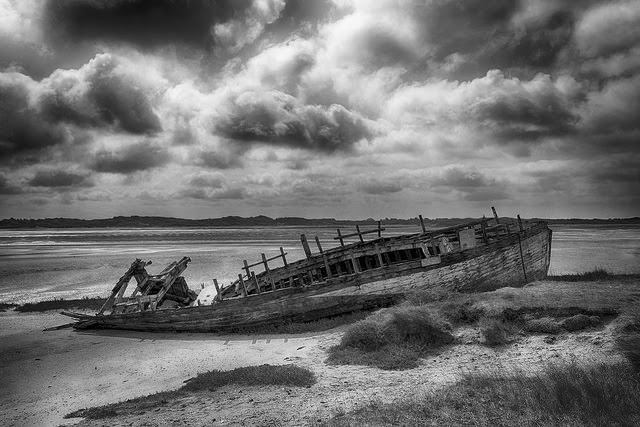 Photo credit: "Boat Abandoned On The Beach" by A Guy Taking Pictures under Creative Commons Attribution 2.0. Thanks Bradford! That's exactly (!) how I'd describe my own relationship with adverb use: a battle. It IS frustrating. I like your attitude: all things in moderation. As Stephen King says, use the first word that comes to mind if it is appropriate and colorful. All the best!